Why should left-wing politics be left to the poor and the powerless alone? “Their particular brand of nannying interference has crocked our state schools, our social services and an NHS which no one is allowed to criticise. Of the many chinks in the armour of the Letts analysis – his grouping of Miliband, Hobsbawm, Foot, Kinnock and others together despite big differences in their politics, for example – I’m struck most by the scolding tone of the piece, as if there was something shameful about being wealthy and left-wing. Isn’t half the Tory attack on Miliband in this election about his supposed failure to do right by business and the rich? I also had no idea until now that Tories like Mr Letts were opposed to home ownership or high house prices. And isn’t this phoney class war pose a bit rich coming from a paper whose proprietor, Paul Dacre, owns three properties: a house in West Sussex nicknamed Dacre Towers, with a mile-long drive, a home in pricey Belgravia, west London, and a seven-bedroom house in Scotland, with a 17,000-acre shooting estate? A paper which inserts property prices into stories where they have no relevance, such as the death of a British woman in Thailand in 2011? This Letts piece further proves a point I’ve made before, that conservatives don’t understand the ABC of class politics. A central Left criticism of middle or upper-class liberals and left-wingers is their tendency to hit the brakes when their own interests are threatened. This obviously would not apply to actor Martin Freeman, who says he supports Labour because he’s in favour of their Mansion Tax on £2million homes, and their tax rises on well off people such as himself. This isn’t hypocrisy, unless you think rich people need to give away their money and power before they can advocate greater equality. Which, for a conservative position, would be very convenient. To be clear, this would be the case however big a person’s house, whatever the state of their wife’s finances, wherever their children go to school. They may be ripe for criticism for any of the above, but such criticism should not be used to restrict ‘non-hypocritical’ left-wing politics to the poor and the powerless alone. Because a joining of hands between working class people and better off people to the benefit of all workers is what gave rise to the Labour party itself over a century ago, to the eternal resentment of Tories ever since. Letts is right to say the middle-class Fabian Society helped found the party, but its main support and raison d’etre were the Trade Unions, (most of whose members do not live in Hampstead). The most famous Labour politician of that time, and one of its first MPs, was Keir Hardie, who worked on shipyards as a child, and died of sickness and a broken heart over the First World War. Probably the best-known Labour politicians of the 20th century were Clement Atlee and Aneurin Bevan, Bevan the Welsh son of a coal-miner, who set up the National Health Service Mr Letts is keen to criticise – both leading lights of the most left-wing ‘socialist’ government in British history. Leaving out the Trade Unions and politicians of this kind while jeering at well-off people on the Left betrays a contempt for working class representation that lays naked and sprawling the pathetic phoney class war of the likes of Letts and Paul Dacre. It is true that working class people are mostly considerable more negative about immigration than Ed Miliband is. Immigration may have a net benefit for the country, but if you are in a poor area that has just become unfamiliar and threatening because it has been a place of Slovakian settlement this may be harder for you to see. Likewise If you are on the waiting list for a council house for some time and you see recently arrived refugees getting council houses before your eyes you may also fail to recognize the net benefits of immigration. At the same time whilst gay marriage may be a pillar of 21st century progressive normality (and a sign of our humanity) to many to many to many working class people, especially the older generations, it is something quite irksome. When liberal North London progressiveness is pushed to hard into the faces of working class northerners who have traditionally been associated to the trade union movement and have voted Labour it can often annoy them to the point where they vote for extremists like UKIP or the BNP, despite the fact that Labour is their natural political home. The objective of a Labour government shouldn’t be that no one is rich but that no one is poor! Oh, there are people not speaking English, THREAT. Then you spout the same old myths about council houses. And whine about less state-mandated discrimination, has to be the Evil. Your excuses for right-wing voters voting for right wing parties is just that. Labour have lost the working class vote primarily to “not voting”, because they’ve moved right. Quite. Labour’s 1945 values are ones which the left (not modern Labour) can and should rally around. They’re not perfect, but they did indeed reshape the nation. What makes these Tories mad is when people with a bit of money back Labour (and actually much of Labour’s support comes from the middle classes). They just can’t understand that not everyone is as greedy and selfish as they are, and it drives them into paroxysms of fury, screaming about hypocrisy and other rubbish. Quite funny really. But we’re not “right-wing voters voting for right wing parties” – we vote in a representative democracy, if we see that the Labour party no longer represents us, we’ll vote for someone else. It is a well aimed attack at the hypocrisy of the champagne socialists who take full advantage of tax avoidance to feather their own nests whilest looking to raise taxes ever higher on the hard working backbone of the nation. Aren’t these the same as champagne socialists he’s criticising? In reality, Hampstead has gentrified beyond belief, with bankers city workers and wealthy foreigners snatching up property. What I find a complete turn-off is the hypocrisy of certain top men and women in Labour. Miliband forever goes on about “Tory millionaires” – failing to acknowledge there are Labour millionaires sitting round his own shadow cabinet table. Is he being disingenuous or merely dishonest?. How about the crocodile tears from Rachel Reeves about benefit claimants when she also claims she will be “tougher than the Tories on welfare”? I have not read the Letts article so of course it is always risky criticising second hand but here goes. The Mail feels the need to reenforce many of its readers existing beliefs. In this example it is the ‘North London elite’ they so dislike. I have to say given the Mails curious history I wonder if a submerged antisemitism is part of this (not Letts himself, just the general mood of the paper). The result of this is to commit the adhominim falicy – that is attack the person rather than the ideas. This all comes after the ridiculous attack on Ralph Miliband in the Mail last year. The Mail has a slightly nutty tendency. I prefer my politics to be about policies not people. There’s nothing wrong for wanting to be tough on welfare. Labour was formed to represent working people (though it’s debatable now) not people who make a lifestyle choice to scrounge off system (most claimants aren’t, but it would be naive to argue that it has helped everyone). Think you’ll find that plenty of striving working and lower middle class people resent what they see as underclass troughing their tax money. The sooner those to the left of Labour realise this the better. I doubt that any benefit of any sort has NEVER been exploited and even illegally abused (the MPs expenses scandal proves that), but I was merely highlighting the hypocrisy of opposing, or pretending to oppose, the Coalition welfare cuts on the one hand, then pretending or saying you will be tougher. It is just not credible, but then with ageing drag queen Eddie Izzard, mincing round in full slap yesterday in Hove, perhaps it is becoming incredible to believe that Labour is credible about anything. And that thing hopes he will become London Mayor in 5 years time, when his seedy career as a male woman is over. It’s an insult to credibility. Ah yes, attack only the Other for you, never your own, as you as usual claim that your leeches, your non-working rich who pay little tax and benefit massively from corporate welfare are the “backbone”, when you’re actually a spineless sponger who keeps calling for more deaths among the poor, if they don’t beg you hard enough for scraps. Britain, of course, has low tax for a developed country, per things like OECD. No, it’s not a vote for your allies in hate. Get over it. If you are a right winger, and you vote for Labour, you’re still voting for a right wing party. You might also choose the Tories, UKIP or a laundry list of far right parties. Plenty of choice for you. So you’re talking absolute nonsense. Meanwhile, the working class is increasingly not voting, because there’s no party which speaks for their views. But hey, I’m only going with polling data. Tough on the poor, as you yell at them for being “spongers”, and talk about your rich “strivers” sitting back and getting corporate welfare, usually more than the little tax you pay. You are the underlcass, 1%. Stop demanding that the left support you, and stop attacking the poor as being the problem. If you paid tax we’d not be in this mess. Done with the Tory screed? And yes, your friends no doubt have snatched up a lot of property. Telling isn’t it. It’d be funny if not for the damage it’s doing. Let’s and the mail are well and truly off this planet. Spot on Mr Kelly. For an age the “born to rule” right wing here could depend on the rich to hammer the plebs. Unfortunately for them modern trends, decency and wider and better education has stripped the unquestioned supremacy of, what actually is, a fascist movement. 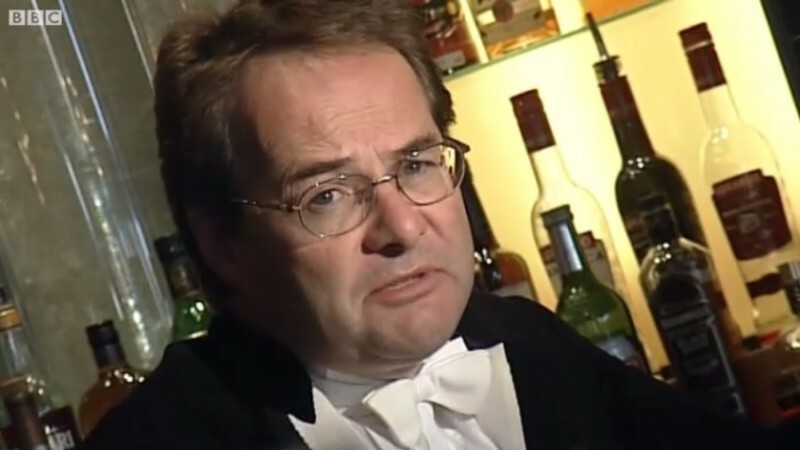 Letts and his kind rage at being questioned by what they regards as their equals who should be firmly anti-working class, anti the common class, on all issues. The left wing meetings I have attended arranged by left-wing groups have shown me that middle class left wingers have absolutely no understanding of the working-class in this country. They still use the same discourse as they did in the 1970s. I am an elderly council tenant, poor and well educated and until disability took hold was very active. I see the leaders on the left out of touch and as a lifelong Labour member see no reason to vote for them. I have always been a socialist but during the period of New Labour was in a party of one. More recently our leaders are suddenly socialist again as if they always really had been. I notice that I offend them at meetings by trying to cut through their ideology by giving examples of real lived experiences. It is apparent that Labour leaders both local and national wish to transform us into the image of themselves. This is impossible as Bourdieu argued that ‘Habitus’ is that which produces the individual. I have been accused of being middle-class because of my level of education which means to me that if I had remained uneducated then I could remain working class. Therefore, they perpetuate the myth that a person may only be one or the other. I have noticed that when the Labour political elite come to my locality they are uncomfortable with us cockneys – the elite appear embarrassed resulting in being patronizing as we do not speak the same language. What is worse is that they do not realize that people know when they are being patronized. Martin Seligman’s seminal experiment may explain why people have learned to be helpless. My mother was a road sweeper and my father a dustman and when my mother met Harold Wilson on various occasions they met as equals without embarrassment: as Conrades. Middle-class politicians are highly educated but sadly what they should seek is wisdom Academic, Beverly Skeggs got it right: we are a different culture and do not wish to be in their likeness – we seek just wise leadship. So you’re a natural UKIP vote. Right. No – I am for immigration and wish the UK remain in the EU. I perhaps will vote Green but am currently undecided. Dig deeper and you’ll find it’s Paul Dacre’s perceived hurt at the hands of the North London socialist tendency that hired hand Lett’s is so keen to assuage. 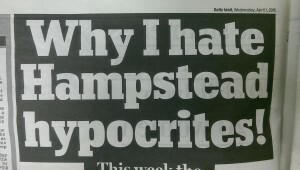 The Daily Mail editor’s upbringing in outer North London was by all accounts not a happy one for which he seems to blame Hampstead intellectuals, many of them Jewish, who were able to live in the capital’s inner zones. So did you not read it before you copy/pasted that? You’ve got a point there. But you’ve got to get your laughs wherever you can find them – and enraging Tories is good fun. I suspect that you are wrong in your belief that they are “myths” about council houses. The perceptions are certainly not myths.